Our after school care is designed to help families with their busy lives. We know how hard it is to juggle working and children so we have created a program that not only takes the worry out of school pick-ups but gives kids the tools that they need to become healthy, happy, well-rounded individuals. Not just an after-care program, we focus on self improvement through jiu jitsu; whether this involves working on issues of bullying at school, feelings of peer pressure from friends, lacking focus with schoolwork, or experiencing low self-esteem, our goal is to help children overcome any obstacles in their way. This program is available for children between the ages of 6 and 12. Jiu jitsu is about teaching kids to respect each other, to be disciplined, to grow their confidence, and to be active and engaged every day. Children in the program are picked up from school by one of our care providers. They are driven back in a fully inspected and serviced vehicle by a licensed operator. Car seats will be available for children requiring them. Once they are back at the gym, they will engage in activities such as doing their homework, taking their Jiu jitsu class or time on the mats, making crafts and enjoying healthy snacks. 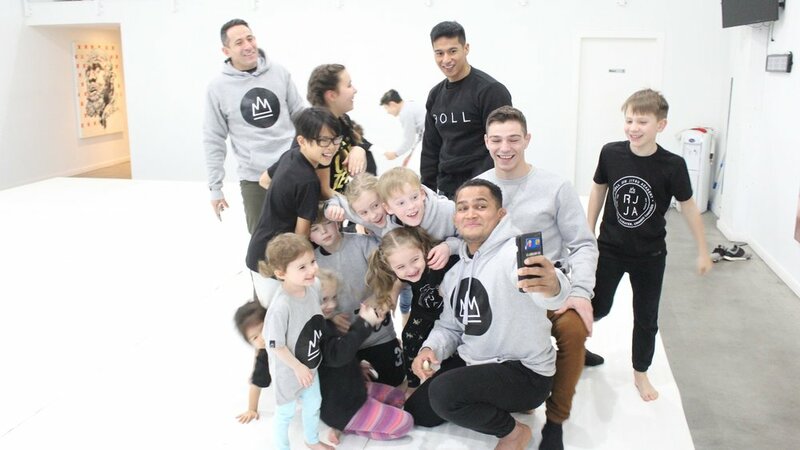 Our kids program is founded on a set of principals that are incorporated into every class, together with these principals, the techniques learned in jiu jitsu will help guide children both on and off the mats. Please check out our highly rated facility here. We pride ourselves on being clean, comfortable and safe. Fill out the form below and we will get back to you within 24hrs.